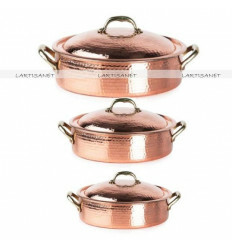 Set of cookware There are 18 products. 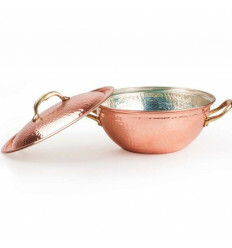 Cook like a chef with this hand-hammered copper twin handled Saute Pan Tin Lined. 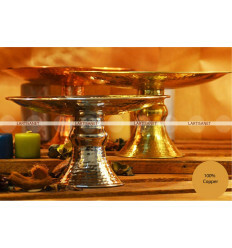 Pretty decoration vase inside your home, 100% handmade in solid copper.Copper vase with 3 feet and silver soldering. 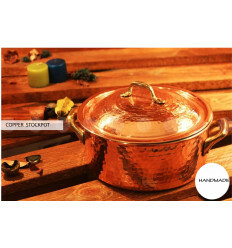 Cook like a chef with this hammered red copper SOUP POT. 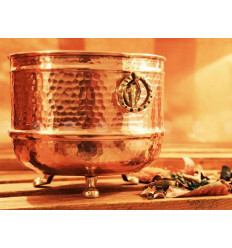 It can be also a warn and unique serving pot with lids. 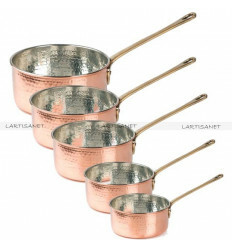 These deep and large pots come with a hammered copper lid to retain heat. 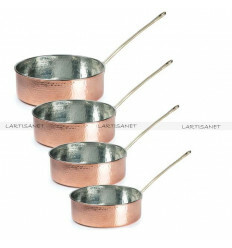 This empty pocket copper was hammered by hand. You do not want to lose your keys, then opt for this design oddments. The ideal location of this empty pocket is on the front table.